Tessa is involved with Max’s brother Ross in a love triangle of the most unexpected kind. Holly tries too hard. And Ross and Max have their own agendas! Cougar Antonia brings her own melodramatics that turn everyone’s lives into a soap opera. 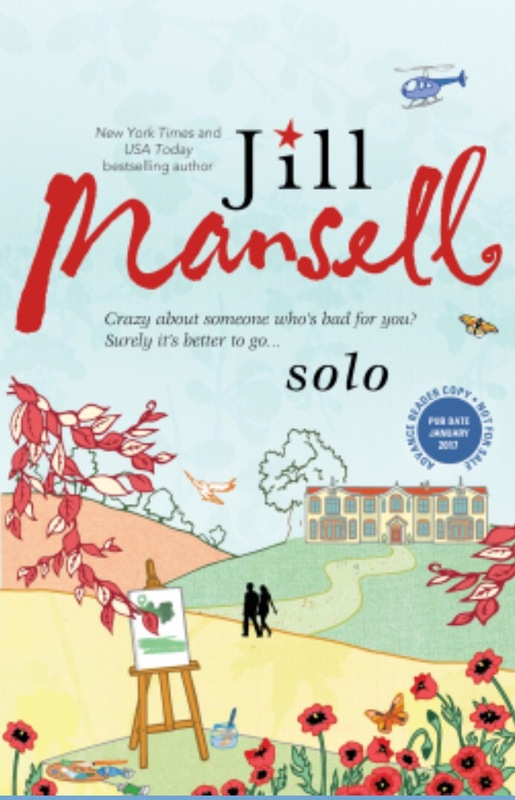 I always adore the fun and crazy that Jill Mansell writes, and this is no different. The characters are unique from book to book, Solo’s plot is multilayered, and the dialogue is believable even when it’s over the top. Thanks Ms. Mansell for taking me completely out of reality and into the world of fancy hotels, infidelities and karma, and simple girls who live in simple cottages quite happily enough.